Updated 07.25.2018: Perhaps it’s a bit cliché to say that the world is full of incredible sights that are, well, seemingly out of this world. However, those lucky enough to get off the beaten path once in a while are often rewarded with spectacular places that are simply jaw-dropping. 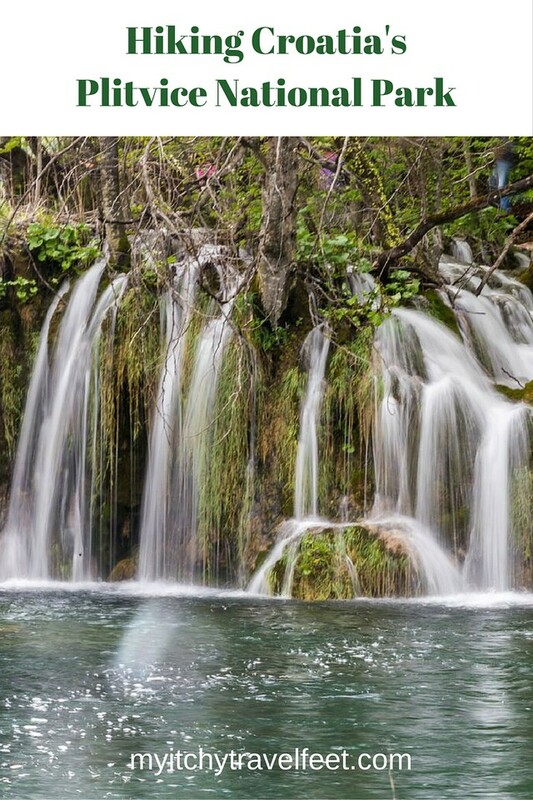 Thankfully, our guest contributor, Debi Lander from ByLanderSea, is here to tell us all about one such experience while hiking Plitvice Lakes National Park. When planning a trip to Europe, I feel it is important to combine a variety of activities. I sometimes become overwhelmed by art museums and big cities, but have found a day with nature does wonders for my soul. Check out more of our favorite European hikes. Therefore, I included a stop in Croatia at Plitvice Lakes National Park (PLEET-veet-seh), renowned for its breathtaking lakes. 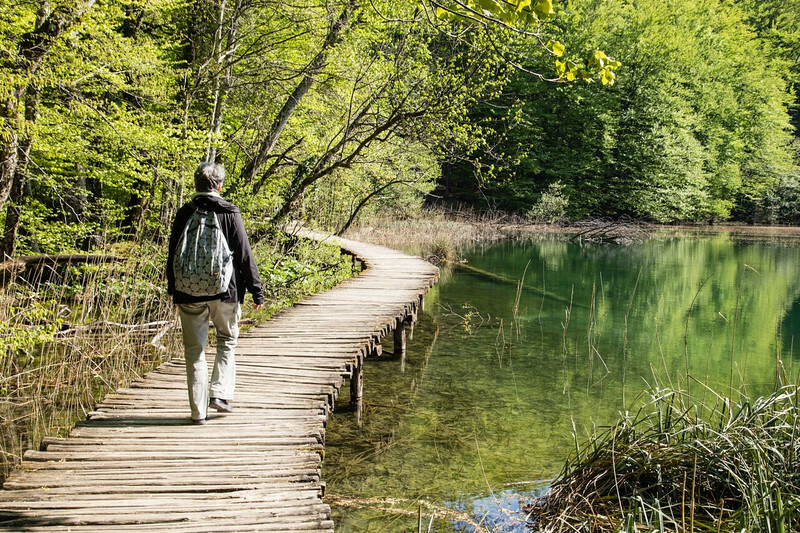 What better way to experience hiking in Croatia? 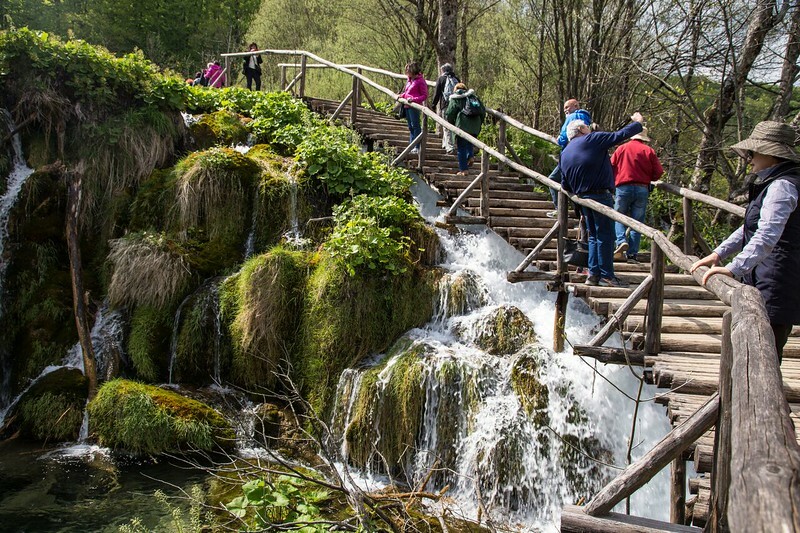 The problem is, Plitvice isn’t the easiest place to reach. It is centrally located, a little over two hours from Zagreb or the coast. I decided to arrange my itinerary to include a brief stay in Zagreb, the capital of Croatia, and sign-up for a day trip to the National Park. I used Zagreb Tours and couldn’t have been more pleased. My traveling pal, Judy and I arrived at a downtown meeting location for early morning pick-up. To our surprise, the small group tour turned out to be all women, four others besides us, plus our female driver/guide. First stop was a 10-15 minute break at an open-air memorial in Karlovac. It’s officially named the Museum of Army Collections from the Croatian Homeland War. 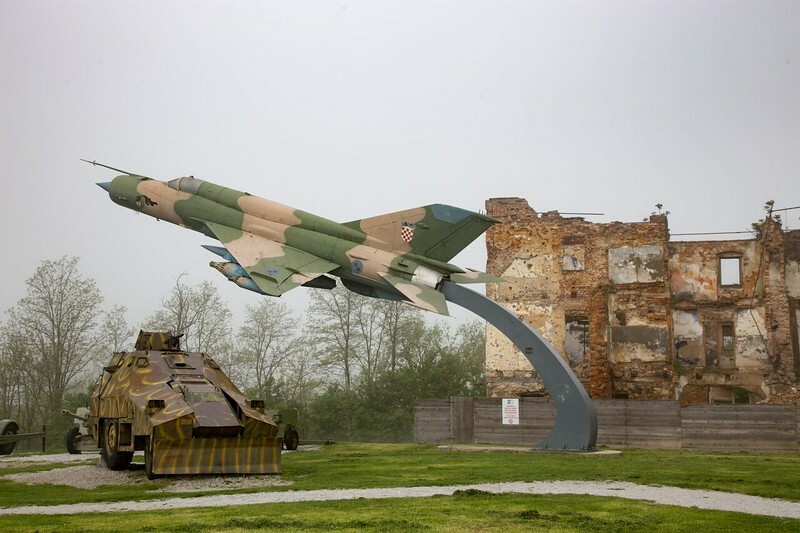 The area contains remnants of tanks, trucks, planes, and buildings used during the 1991-1995 war. A few photos show some of the local destruction. I found the stop a poignant reminder of Croatia’s problems during recent years. We returned to the van and reached Plitvice about an hour later. 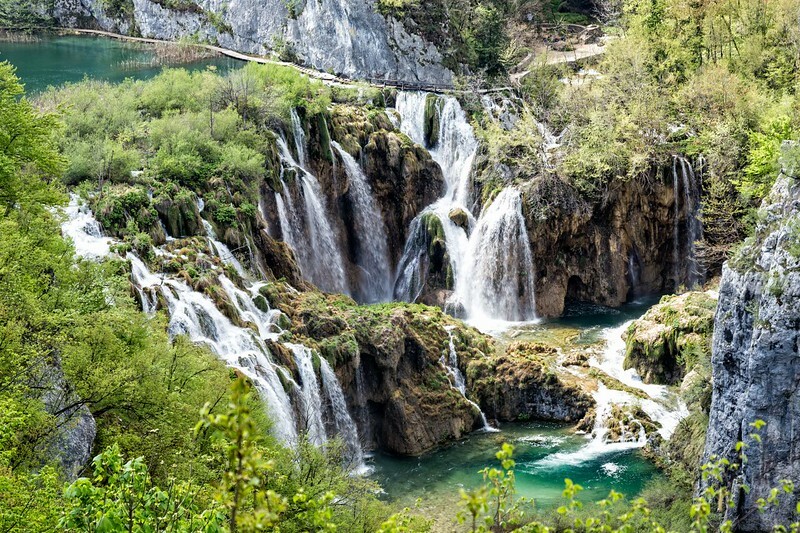 Plitvice National Park was the place where the first shots of Croatia’s war with Yugoslavia were fired on Easter Sunday in 1991. 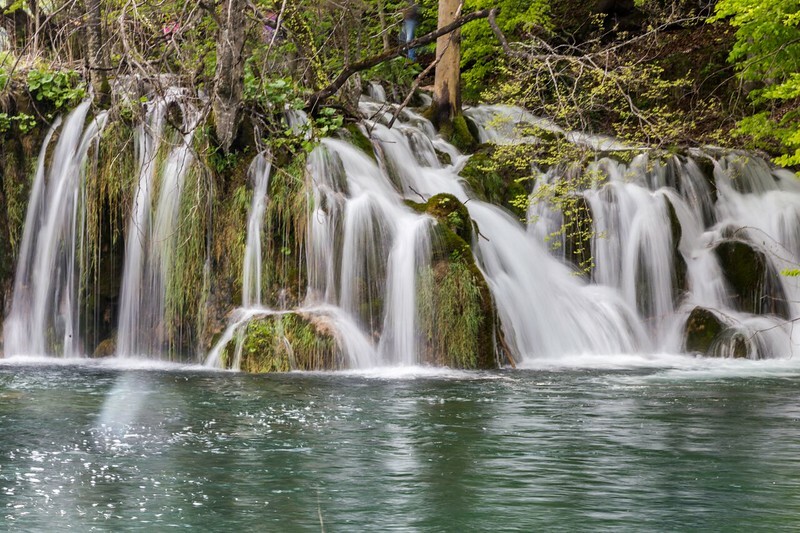 The Serbs occupied Plitvice and the surrounding region until 1995. Fortunately, the park is open once again, a haven of nature with constantly changing colors. The lakes glisten with hues from emerald to turquoise green and shades of azure blue. Our guide escorted us through the park entrance and explained the trails and transportation system. We were then free to hike at our own pace, take a boat ride and use the bus to return to the meeting spot five hours later. This plan was ideal because each person could go at their desired speed, stopping whenever they wanted. Plitvice Lakes National Park is one of Croatia’s most popular tourist attractions and was granted UNESCO World Heritage status in 1979. The lakes are the biggest draw but makeup only one percent of the park’s beech-fir forest. There are 16 lakes in total, 12 upper lakes lie on dolomite surfaces and the four lower lakes on limestone. They are interconnected by a series of cascades separated by natural travertine dams. We started down a paved trail and barely went 20 feet until we found a magnificent overlook at the Big Waterfall, 250 feet high. I was immediately reminded of looking into the Grand Canyon, but here I found a mesmerizing lake at the bottom. I saw small land formations below sprouting water in lacy trails. I stared in awe; I knew from online photos that the waterfalls were stunning, but seeing them in person is like grabbing your dream and shaking it by the tail. I was in a Zen moment; I needed nothing more than to just stand still and take it all in. However, many more waterfalls and lakes were waiting, so off we trotted. We descended a zigzag course, sometimes rather steep, until we got to boardwalk style hiking trails that crossed the water just below our feet. You feel an intimate connection to your surroundings and the expanse of water. Anyone with balance problems should be extra careful. The boardwalks have no handrails so you must watch your step. However, the lake is very shallow here. Hiking poles don’t take up much room in your luggage. You’ll be happy to have them on tricky trails. We passed some oddly attractive land formations where water oozed out of the hillside and trickled down miniature waterfalls before spilling into the lake. The urge to capture the scenery and take photos is powerful; I wanted to stay there and just keep shooting. Eventually, we reached a camp area with a restaurant and outdoor picnic tables where we met up with three of the other ladies in our group. We purchased some grilled chicken and gobbled down every bite. We had much hiking left to do. After lunch, we all boarded the park’s silent, pollution-free electric boat to cross the park’s biggest lake. Lake Kozjak is not as dramatic as I expected, but with pretty colored water and many fish. When we reached the landing spot, it turned out to be another bonanza of gushing and gurgling fountains. Selfishly, I wished everyone would get out of the way for my photos, but I suspect that only happens in the winter when the park is freezing cold. Judy and I picked the longer trail around since we had time, but didn’t realize just how lengthy it was. I will say that Plitvice could use better and more signage. We ended up covering miles, some on dirt trails and others on more planking. We honestly became saturated by the abundance of waterfalls. As the afternoon worn on, and we began to wear down, we’d turn a corner, hear a waterfall, and then sigh, “Oh my, another gorgeous one.” Normally I’d be jumping up and down with excitement, but this park overkills with scenic natural beauty. Exhausted, but delighted, we finally climbed our way back up to the bus station and took a ride back to the first trailhead. We still had to hike back to the entrance and grab some snacks at the main restaurant. I will never forget my day hiking Plitvice National Park and would love to return. To be in such an area of concentrated beauty, to breath and listen to nature is an intoxicating joy. I’ve seen the majesty of Yellowstone, Yosemite, and Niagara Falls, but Plitvice is a different world. Is it worth a trip to Croatia? Absolutely. One of the best gifts I have ever given myself. 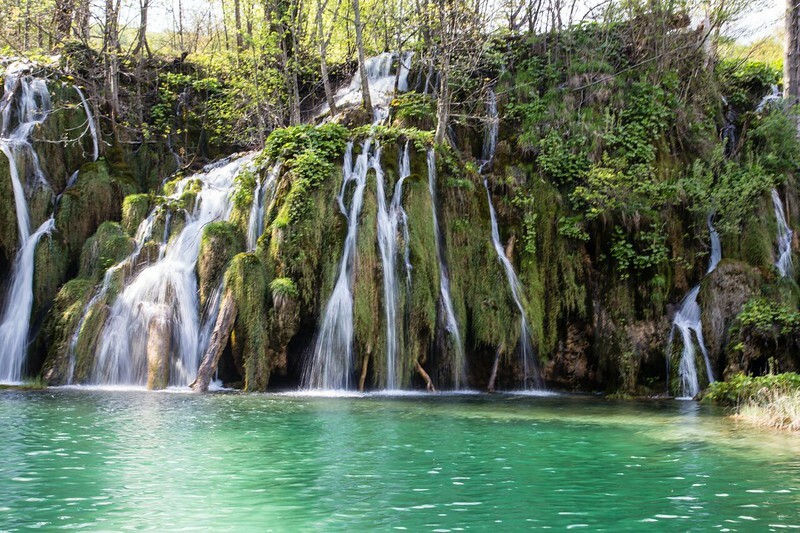 Begin your search for lodging in Plitvice National Park with us. If you go: I’ve heard the park gets overcrowded in the summer. I went in April, which seemed ideal, not too hot or cold. Plitvice contains three basic lodges built for big tour groups during the communist era. You might consider staying in a sobe (rooms in a private home, like B&Bs) in the countryside around the park. My full-day tour lasted about 12 hours, but I’d do it again in a heartbeat. 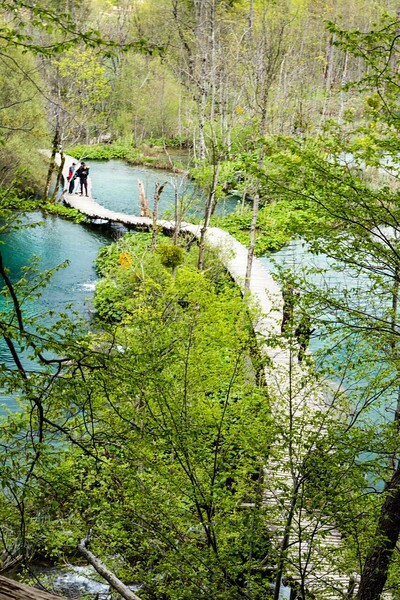 Have you thought about a Croatia hiking trip? 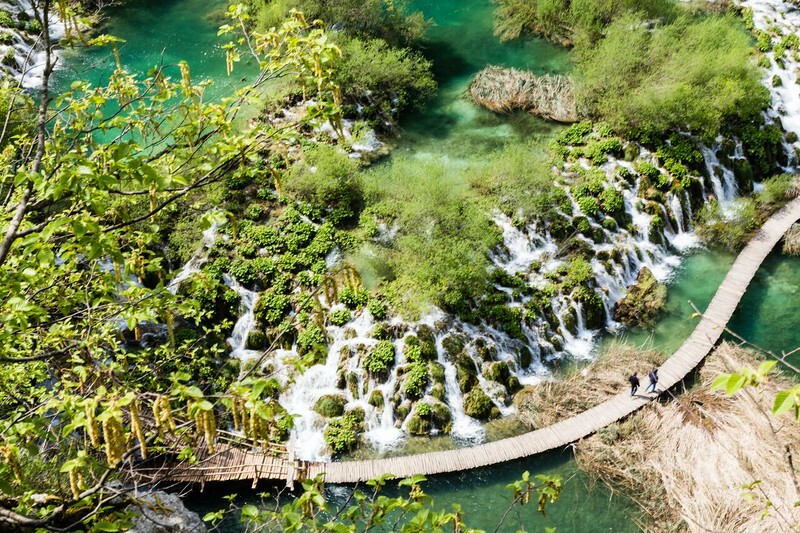 Will you include hiking Plitvice National Park on your trip to Croatia? Come join the conversation at the My Itchy Travel Feet page on Facebook. Or send us an email with your thoughts. Debi Lander, hails from St. Augustine, FL, a freelance travel and food writer/photographer. She is the mother of four and Grandmother Mimi to eight. By air, by land or sea, Debi's always ready to explore at ByLanderSea.